Hear from the candidates on issues that matter to you! The League has prepared questions; however, questions from the public will also be considered. 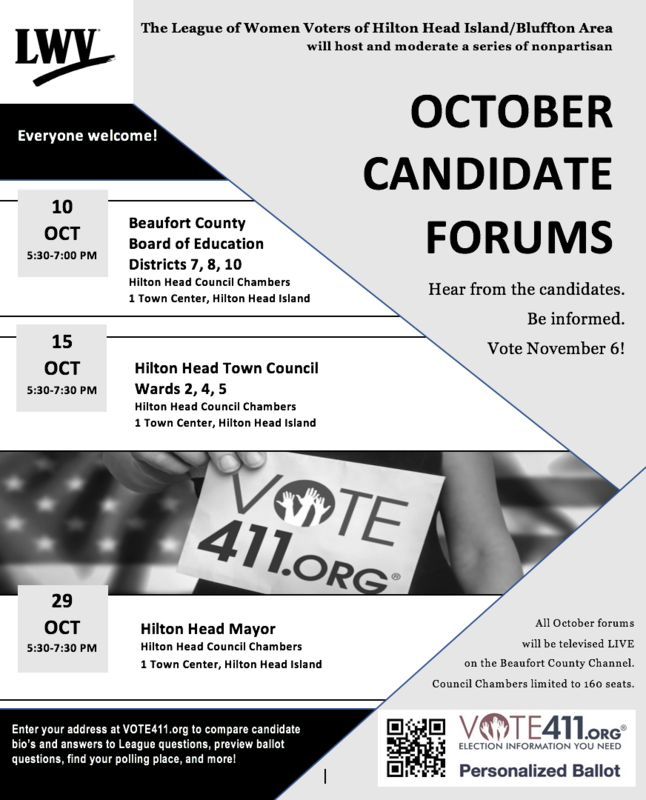 Open to the public, the forum will also be televised LIVE on the Beaufort County Channel (Comcast 2, Hargray 9 & 113, Spectrum 1304). Council Chambers audience limited to 160 seats.